FREMANTLE has resisted the temptation to recall Ryan Crowley for Friday night's preliminary final against Hawthorn, while West Coast duo Scott Selwood and Patrick McGinnity are the unlucky Eagles omitted for the weekend's other big game. Dockers coach Ross Lyon appeared to toy with the idea of recalling Crowley, 31, this week despite the fact he hasn't played since the semi-final loss to Port Adelaide last year. Crowley was given a 12-month ban for a positive drug test in June this year, backdated to September 25, 2014. While he famously tagged Sam Mitchell in the Hawks' 2013 premiership win and kept him to just 12 disposals, he won't appear this week, with the Dockers making two changes for the first of two Domain Stadium finals. Crowley has not been picked as an emergency, with the omitted Clancee Pearce and Zac Clarke listed along with defender Alex Silvagni. Jon Griffin and Matt Taberner have been called up to replace Pearce and Clarke, with Silvagni also left out despite becoming available after serving a four-match suspension. Defender Luke McPharlin also remains on the sidelines, having not played since round 22. The veteran backman aggravated his troublesome calf in the lead up to the Dockers' qualifying final win over the Sydney Swans after being rested for round 23. The Hawks are unchanged for the first time this season, meaning Will Langford, who was dropped for the Hawks' semi-final win over Adelaide, hasn't regained his place in the side. Forward Jack Gunston was ruled out earlier in the week because of an ankle injury two weeks ago. They have listed Langford, Jon Ceglar and Angus Litherland as their emergencies. A week off has allowed Eagles duo Matt Priddis and Chris Masten to recover from their soft tissue injuries and return for Saturday night's clash with North Melbourne. The Brownlow medallist missed the qualifying final with a quad injury while Masten also sat out the win over the Hawks after injuring his hamstring in the second quarter in round 23. 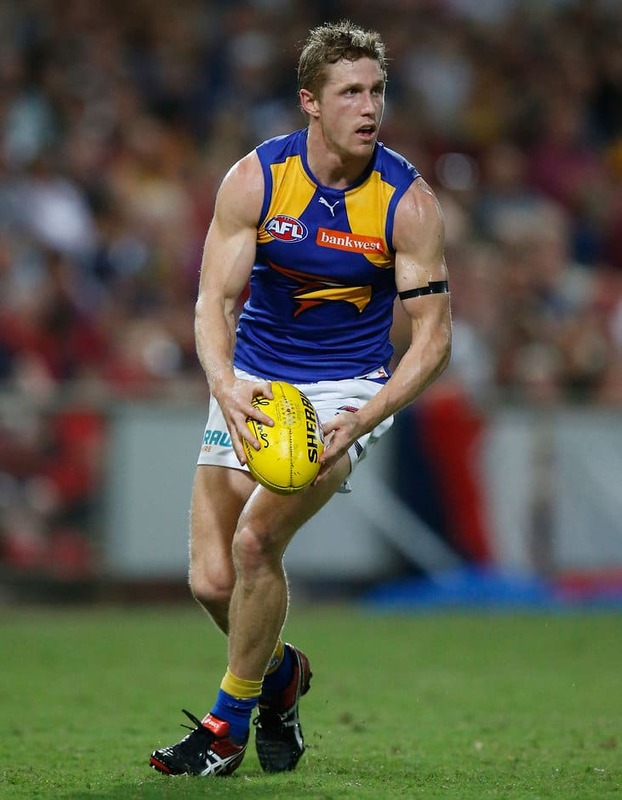 Luke Shuey and Jeremy McGovern have both been named despite minor problems with a foot and shoulder respectively. McGinnity and Selwood have been listed as emergencies along with Scott Lycett. The Kangaroos have brought in Robbie Tarrant, who was withdrawn after he tweaked his groin in the warm up last Saturday night ahead of the Sydney Swans win. Luke McDonald, who replaced Tarrant, has been dropped and named as an emergency along with Ryan Bastinac and Robbie Nahas, who was a late withdrawal last week for Kayne Turner. Turner has retained his spot in the side and will play in his fourth AFL final in 19 games. The Kangaroos have also backed in the battered Drew Petrie after his right knee copped a hit last week against the Swans. He played out the game but needed treatment after the marking contest incident. Daniel Wells has not been named despite lingering suggestions he could emerge as a finals wildcard after missing the majority of the season with Achilles/calf issues. Fremantle-Hawthorn will be umpired by Jeff Dalgleish, Brett Rosebury and Matt Stevic, while Dean Margetts, Ray Chamberlain and Simon Meredith will officiate the West Coast-North Melbourne clash.